Thanksgiving week is upon us already and that means I am seriously planning for Christmas. Each year, we spend the month of December studying all things Christmas. I make it a point to make sure that Jesus stays the center of everything we do while having all the fun we can have. We take a break from doing "normal school" and focus our attention on the eternal while throwing in some math and reading along the way. By this time in our school year the kids are ready for a break from the norm and I am ready to give them what they need. We spend the entire month doing crafts, baking, watching movies, snuggling with good books and making sure we rest. I have been scouring cyberspace checking out all the fun ideas for nativity scenes, lapbooks, games, and of course Advent. Every year I do a post that links up to the great ideas that I find. Below are the links that I have found this year. Some links are from posts past but many of them are new. I have just covered the very tip of the iceberg of Christmas ideas here, but hopefully it gives you a good start. This is such a long post, I have broken it into several smaller sections to make is easier. Every year, we do a lapbook and or a unit study for Christmas. It is the perfect way to get our school in and do fun things at the same time. The kids love them and I always enjoy doing them with the kids. Christ is Born Lapbook – This is a quick little lapbook that is perfect for 2-4 year olds. The pieces go in a little pocket so the kids can act out the story over and over again. Twelve Days of Christmas - We had a lot of fun putting this lapbook together a few years back. While there is no real evidence that the twelve days of Christmas has anything to do with the Bible it was a great way to help the kids remember some basic info like the books of the Bible, Fruit of the Spirit, Apostles and more. The Legend of the Candy Cane - We really enjoyed completing this lapbook last year. Studying candy for Christmas and yet keeping Christ as the center is a win, win. The Nativity Lapbook – This lapbook is great for elementary ages. It covers the whole Nativity and includes some parts from the movie if you want to use them. I used elements from this lapbook a few years back when we did an all-inclusive CHRISTmas lapbook. Names of Jesus Unit Study – A unit study of the names of Jesus. I really like this idea. History of Christmas Carols – This is a unit study about the history of several Christmas carols and hymns. It looks fascinating and something those who enjoy music and studies like that (that would be me) would have fun doing. Jesse Tree Devotional - Ann Voskamp has this free Jesse Tree devotional on her site for this year. I have never done Jesse Tree with the kids but this really looks amazing. I have been thinking about doing Jesse Tree for a few years now but just haven’t gotten to it. Growing up I didn’t do Advent. I didn’t even know what Advent was until I was an adult. We have been celebrating Advent in some form for the past few years. Last year we lit candles for the first time. This year, we plan on doing it again. Lighting a candle is a way of being intentional in how you celebrate Christmas. And since we want Christmas to be much more than presents and stockings we have over the years made a point to read the Bible and talk about how Christ came and why Christ came and focus our hearts on the Savior. I have found that Advent has been a great tool in helping us keep Christ in the center of Christmas which is what I want. Advent starts on December 2nd this year. Inductive Advent Bible Study - We did this Bible Study last year and it was so awesome. All of the kids enjoyed some component of this study and all of us got something out of it. If you have older kids I highly recommend this study. There are some elements for the younger kids also so the whole family can do this study. It has been updated for this year. I am thinking about doing it again. I know that we will get something new out of it each time. Advent Treasure Hunt - This idea looks like fun. Every day the kids have to find the day's activity that is hidden somewhere inside or outside the house. Just the idea of hiding our daily verse and activities gets me excited about doing this. St Margaret Mary Advent Calendar – I don’t normally link to something I am not able to fully check out first but I am totally intrigued and curious about what will be under each day. It says no peeking so I guess we will just have to wait until it’s time. Advent Story Printable Book – I have printed this out for all of my kids to do at some point. I really like it. While you are on that site, explore, she has several Christmas activities and teaching ideas oh, and color pages. Felt Advent Calendar - This is a tutorial on how to make your own felt advent calendar. There are a lot of steps but it is so totally cute. If I had time I would make this, maybe next year. Seriously this is so cute. Advent Activities – This is perfect for the little ones. There are so many great little activities to do and they focus on Christ. Tradition in our house is to make a Nativity Scene for Christmas. In years past we have all made some part of it and then we put the whole thing together. Often it is like a giant mural on a wall. Two different years, we actually left the scene up on the wall until Easter, partly because I just never took it down and partly because the kids were just so proud of it. Last year we did something totally different, each of the kids made their own Nativity scene. 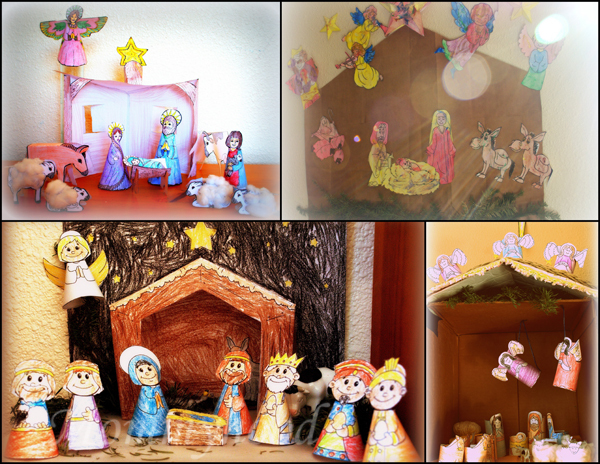 I found so many different printable and DIY Nativity Scenes we were not able to do them all last year. We haven’t decided what we will do this year. Paper Doll Nativity Scene - This one is cute and gives you the instructions to make a diorama like Nativity Scene. Birth of Jesus Nativity - This one has two versions, one with and one without the Wise Men. Nativity Craft - This is really cute with little terracotta pots. Perfect for those who want to do more than just cut, color and paste. Paper Nativity – This one looks sweet and pretty simple. Spool Doll Nativity – Oh my goodness is this cute. It is perfect for an older kid who has moved beyond just coloring some paper. Nativity Scene from a 2x4 – Okay so this one is for an older for sure. I know that a younger could totally help with making it. I love this. It can be played with over and over and is so incredibly cute. What is the Christmas Season without games and activities? It’s part of what makes the month of December so fun. Here are some resources for you. Christmas Bible Printables - This site has puzzles, mini books, verse cards and so much more. If you want simple activities for a 3-6 year old that are Christ centered this is where you go. Christmas Folder Games - There are so many Christmas themed folder games on this site. 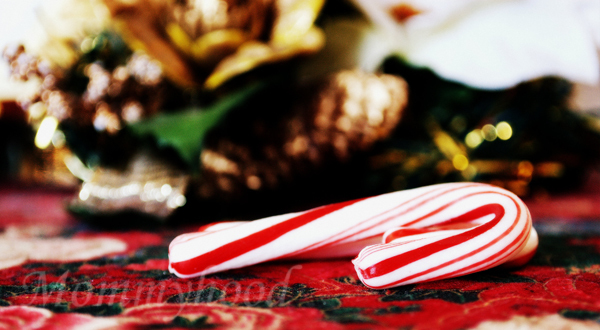 We love playing folder games and what a better way to keep the learning going but by a folder game that is in the shape of a candy cane or Christmas tree? Nativity Pre K Pack – This is a free packet full of things for your preschooler. Patterns, matching, cutting practice, and prewriting practice. Nativity Pack – Here is another Nativity pack for 3-5 year olds. This one is also totally adorable. 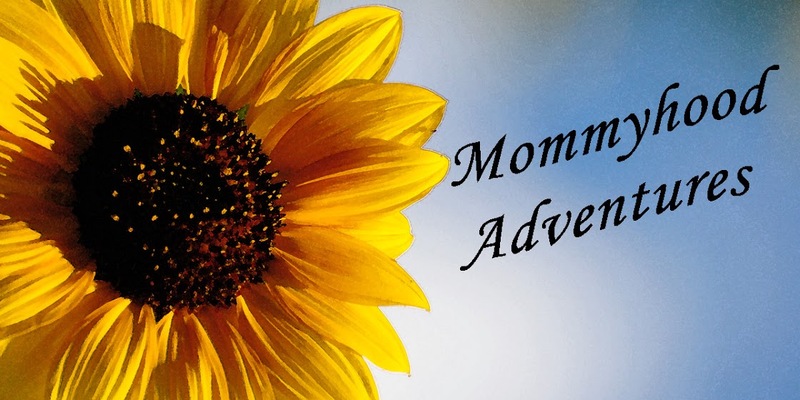 Advent Activities – She has such great ideas all year round. Nativity Dominoes – These are so adorable. Nativity Finger Puppets – These would be fun for a little one. My hope and prayer is that this post inspires you to do some intentional parenting during the hectic Christmas season that is upon us and remember to focus on the eternal. 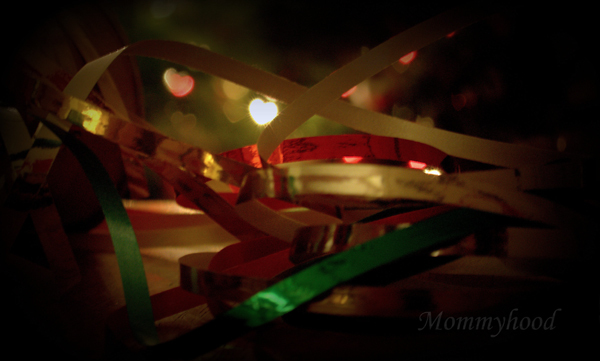 What do you do to keep Jesus the center of Christmas? Let me know in the comments, I am always looking for new ideas. Or any homeschool post becomes a 31 Day post.